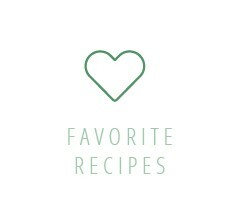 So I pinned a recipe for sugar cones about a year ago. Whenever I thought about making it though, I would get highly lazy and assume it would be too much work. I prefer ice cream out of the pint mostly anyways! 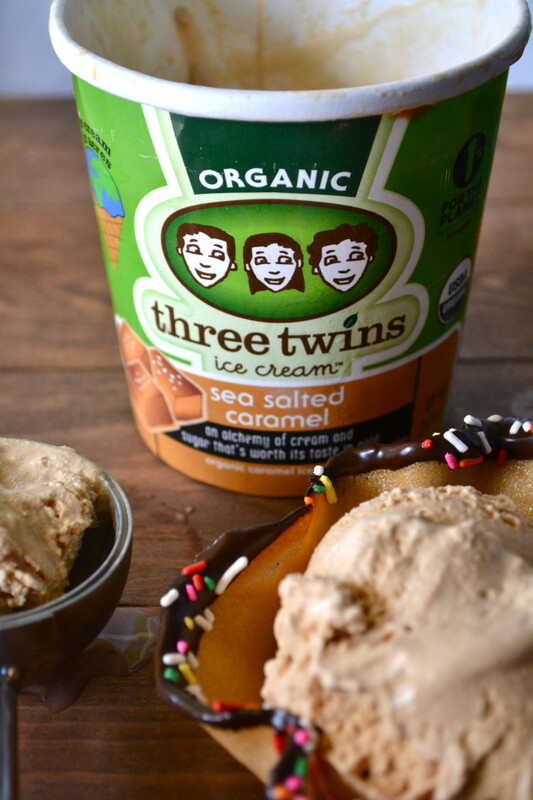 But this weekend I had gotten some AMAZING Three Twins Ice Cream and knew it was too good to just eat normally. 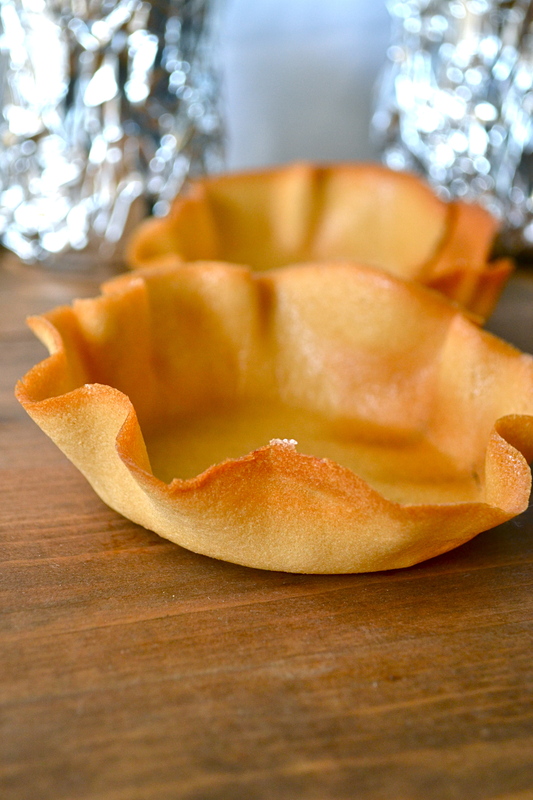 After making these sugar cone bowls and realizing how easy they were to make… I was beyond happy. This ice cream is amazing for many reasons though. It is not only organic, but they also source their milk and cream from within 17 miles of their factory. You can tell too. I don’t know if it is because I have been eating frozen yogurt for too long, but I think I forgot what creamy, fresh ice cream should taste like. That is exactly what Three Twins manages to do. Now being delicious and organic is great, but what really makes this company stand out is their dedication to giving back. They are part of something called 1% for the planet. This means they give 1% of their sales to land conservation. 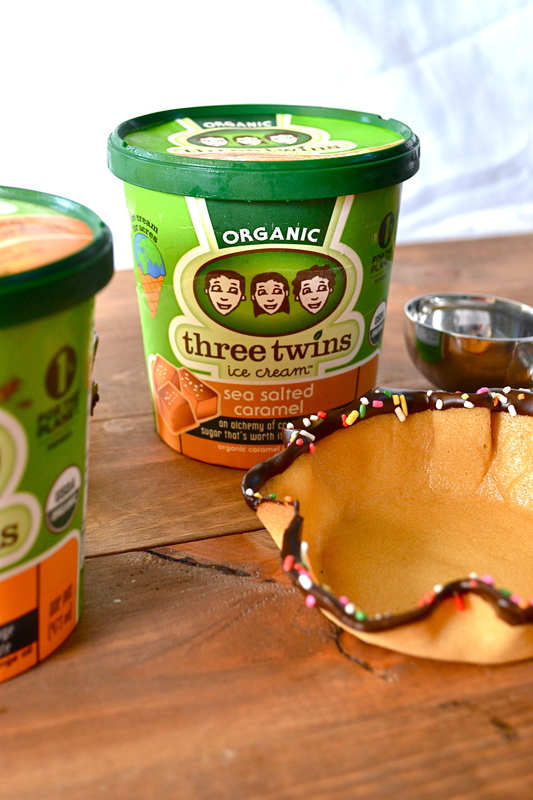 When you can feel good about buying ice cream… I am always in! OH! 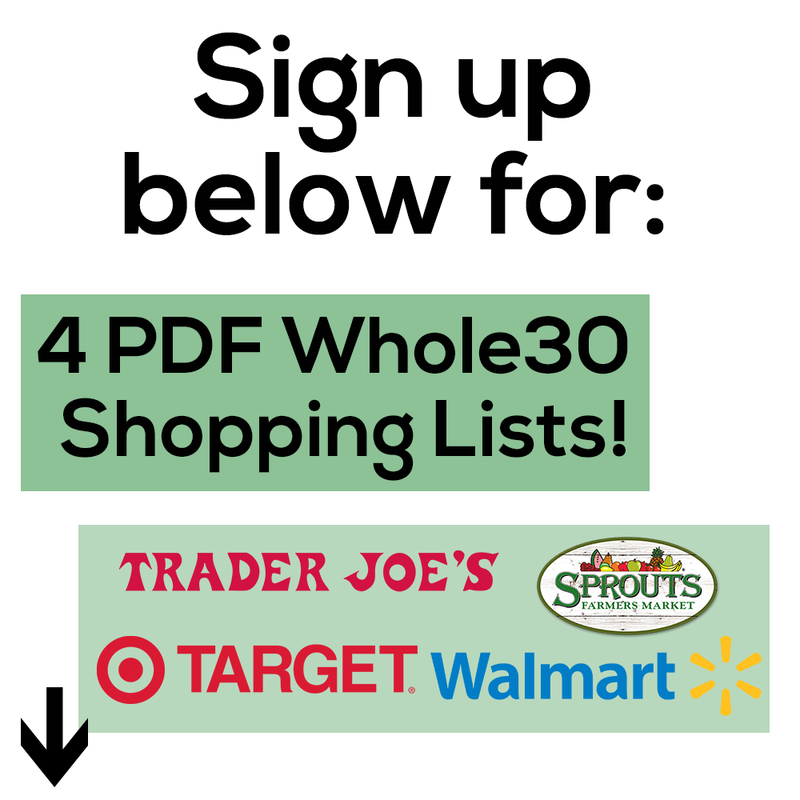 And did I mention that it is in most Whole Foods nationwide? Like you need a reason to go on a WF run. Now let’s check out these bowls. First draw some circles on parchment paper and cover with a sil-pat. Pour batter onto the sil-pat and spread into those circles. 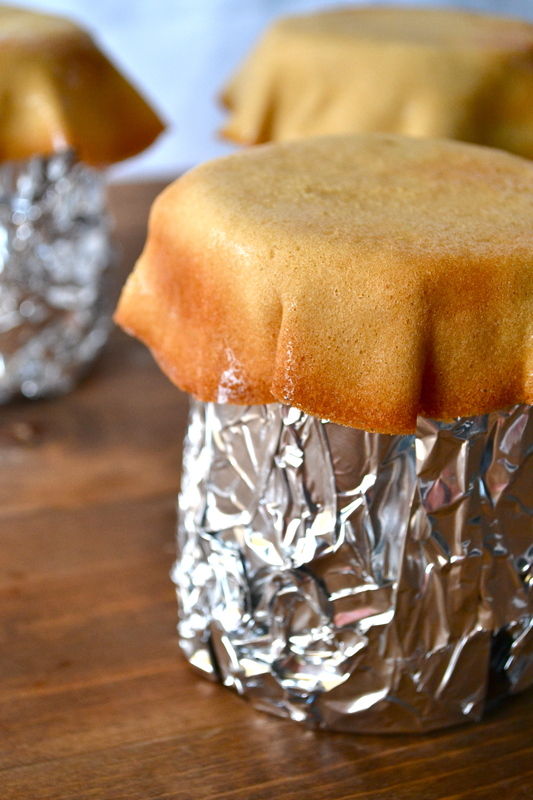 While they are baking, cover some cups with tin foil. Once they are done, quickly move them to the cups a press down to form the bowl. 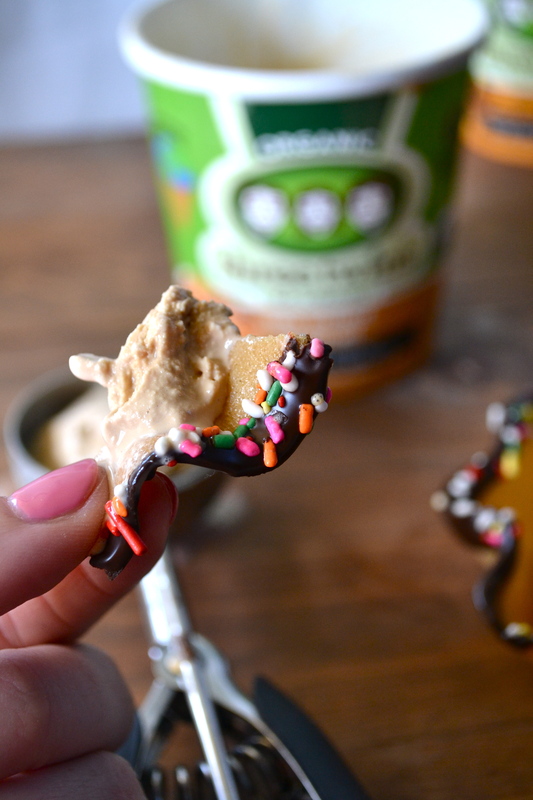 Dip in chocolate and add sprinkles. obvi. 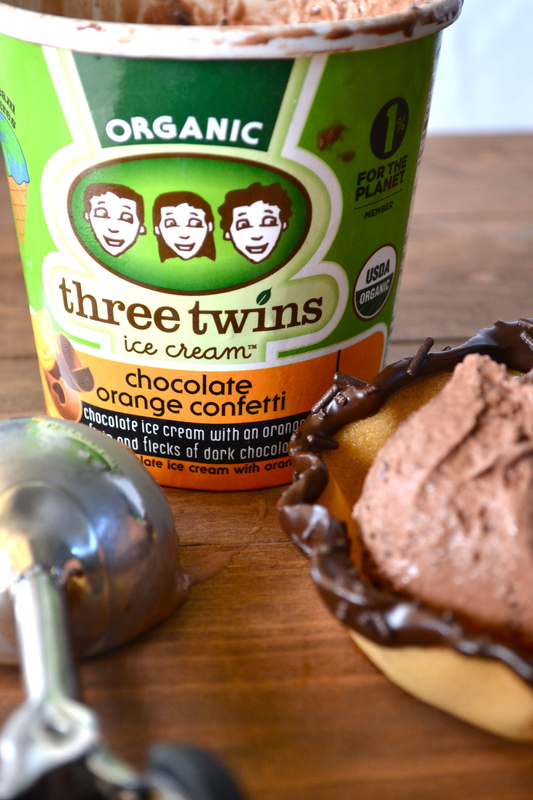 The rich chocolate ice cream has an orange oil in it that is UNREAL. Have you ever had a chocolate orange around the holidays? The one you slam on the table to break into pieces? This is that flavor in an ice cream. The chocolate confetti throughout just melts in your mouth and makes you so incredibly happy to be alive. 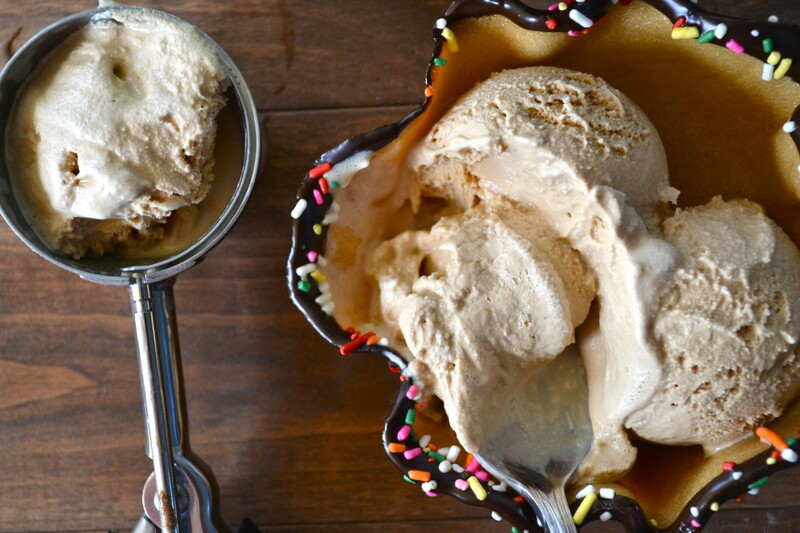 And of course the Sea Salted Caramel. Creamy. Sweet. SALT. Whoever thought to start adding a bit of salt to something sweet is a genius. It provides the perfect balance of all that is right in the world. 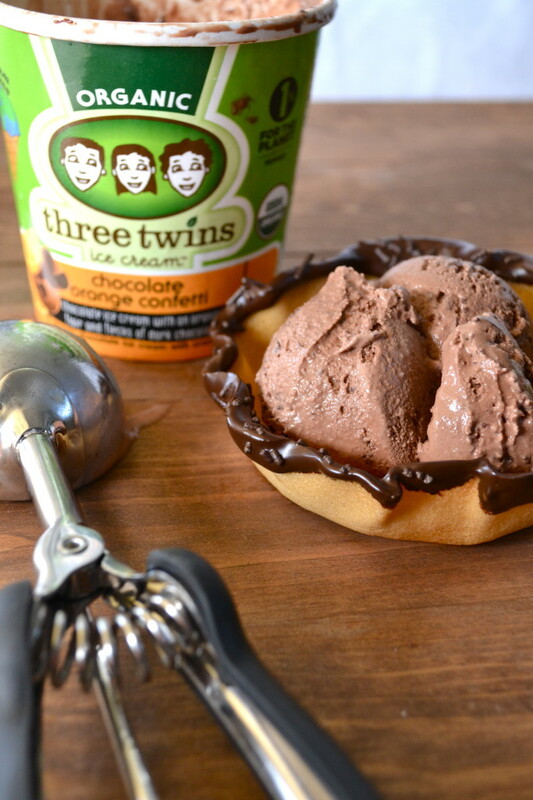 For more information on Three Twins Ice Cream & where to find some near you, check out their website HERE! 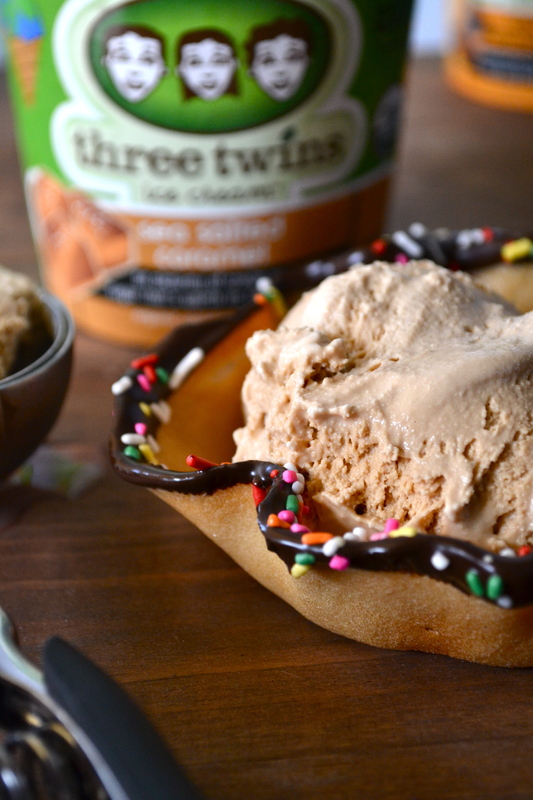 Homemade Sugar Cone Bowls & Three Twins Ice Cream! Preheat oven 325 degrees. 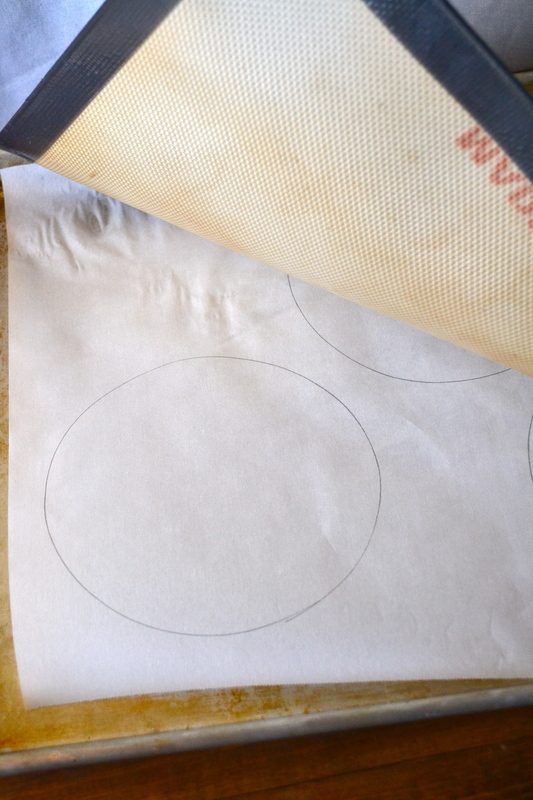 Draw or trace 5-inch circles on sheet of parchment paper. 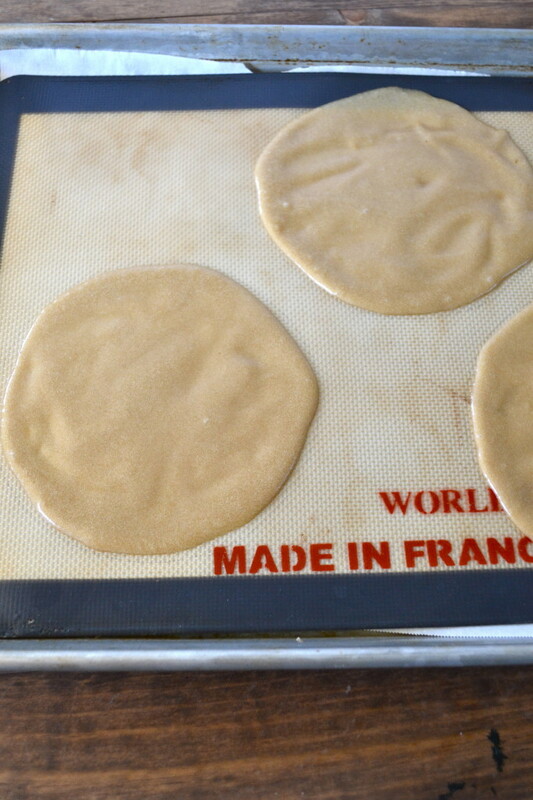 Line baking sheet with prepared parchment, then top with nonstick silicone baking mat. 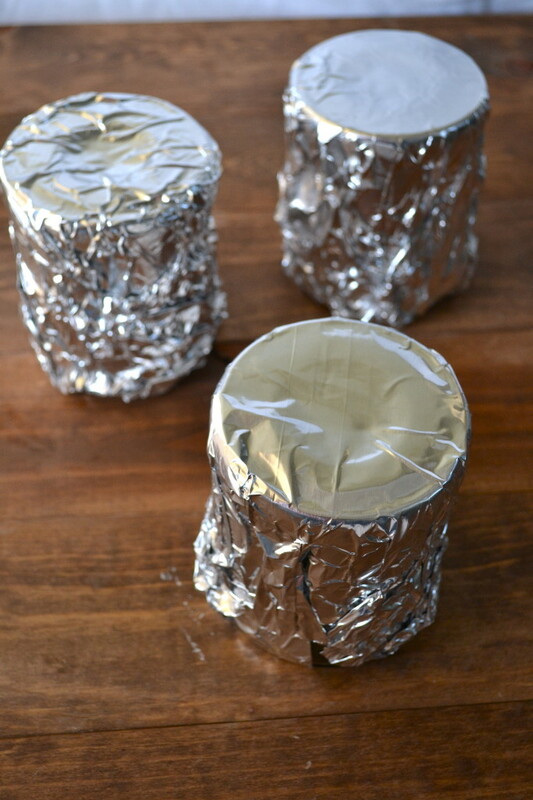 Cover some cups with aluminum foil and set aside. 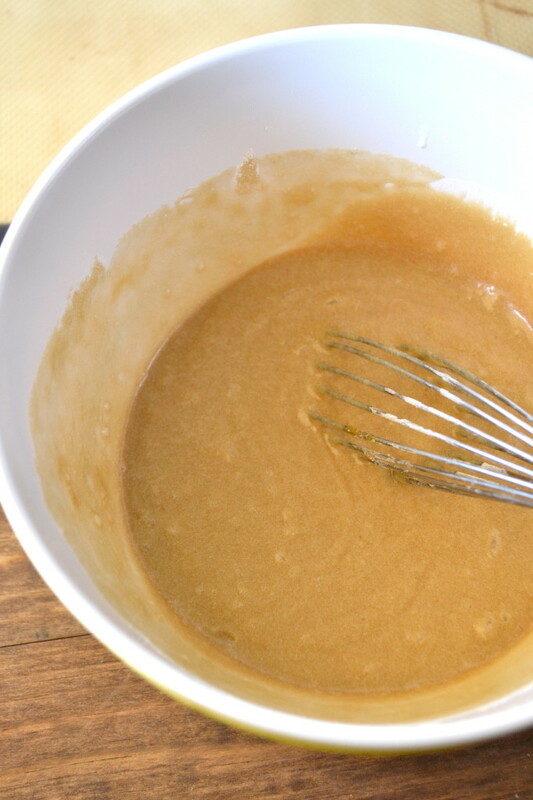 Whisk granulated sugar, brown sugar, and egg together in bowl until smooth. Whisk in milk, melted butter, and vanilla until combined. Whisk in flour until combined and smooth. 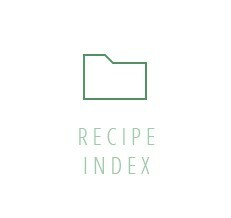 Drop 1½ tablespoons batter into center of each outlined circle on prepared baking sheet. Using small offset spatula, spread batter into 5-inch circle, using stenciled outline as guide. Bake until golden brown, 14 to 16 minutes, rotating baking sheet halfway through baking. Working quickly,use metal spatula to lift edge of cookie off of the pan and move to the upside down cup. Lay a clean dish towel on top of cookie and press firmly down on the cup to bend the sides of the cookie down. Stand cup, upside down, still on mold, on wire rack. Repeat with remaining cookies. 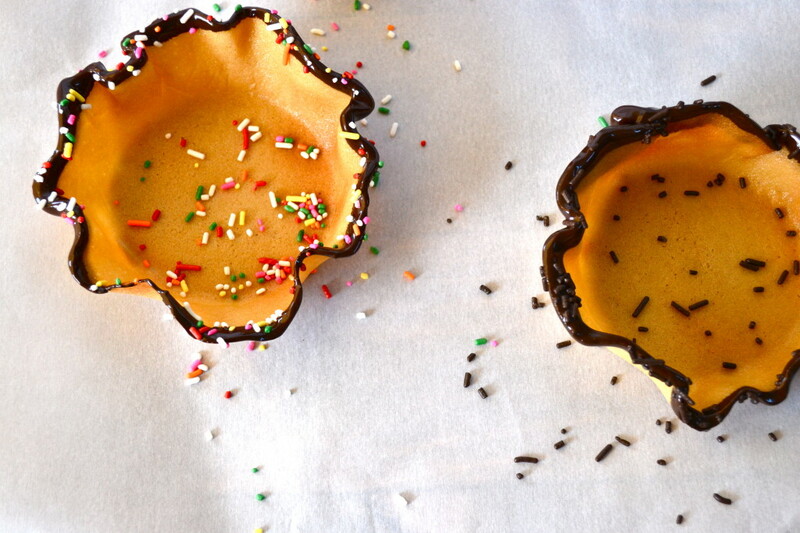 (If cookies become too hard to roll, return to oven for up to 1 minute to soften.) Let cones cool completely, about 10 minutes, before gently removing from molds. 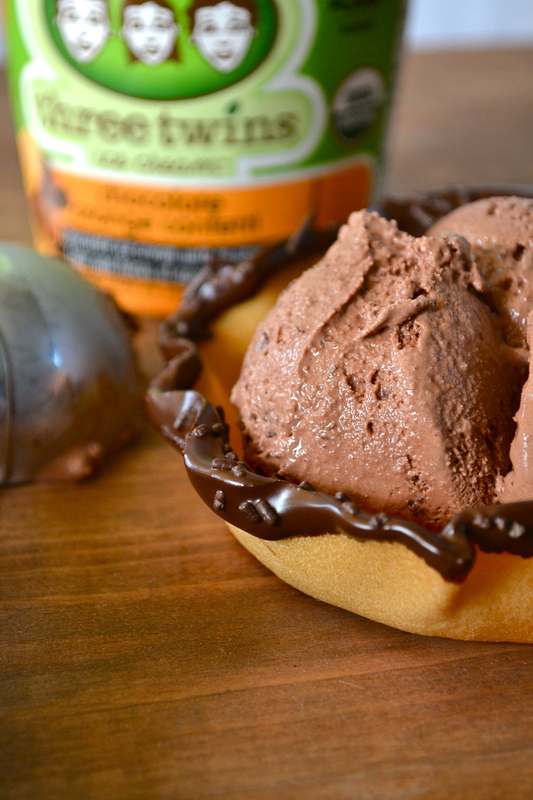 Melt chocolate in a bowl and dip tips of the bowl in chocolate. Top with sprinkles or chocolate chips and let cool. 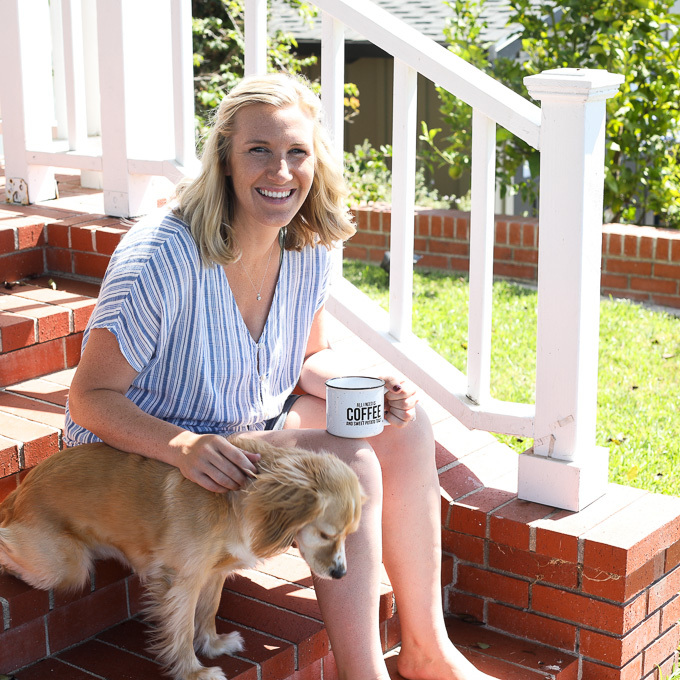 https://littlebitsof.com/wp-content/uploads/2014/04/DSC_0167.jpg 4608 3072 Kelsey https://littlebitsof.com/wp-content/uploads/2018/01/NEW-header-1.png Kelsey2014-04-25 08:31:382019-01-16 13:46:46Homemade Sugar Cone Bowls and a Review of Three Twins Ice Cream! Yum! I love these! 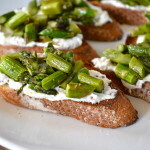 I am going to make them this weekend!